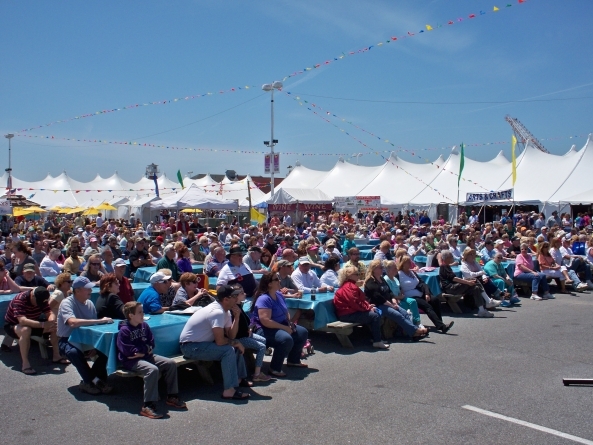 Ocean City, MD – (April 23, 2018): Marking the start of the season, the Town of Ocean City is celebrating its 28th annual production of Springfest from May 3 – 6, 2018. Visitors coming to Maryland’s Eastern Shore over Springfest weekend will find live music, food, arts, crafts and more — all just off of Ocean City’s iconic Boardwalk and free, beautiful beach. 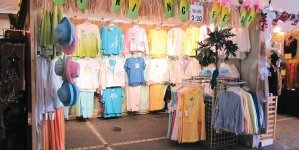 Springfest is one of the top arts and crafts festivals in the nation and features over 250 vendors selling arts and crafts. The festival is fun for people of all ages and admission to the four-day event is free, including all entertainment, with the exception of the ticketed evening headline performances. The festival is located in the Inlet Lot at the south end of the Ocean City Boardwalk. Two stages at the festival provide entertainment in the form of live music throughout the weekend with headline acts performing popular hits. Satisfaction, the International Rolling Stones show, will be playing the night of Thursday, May 3, reminding us that rock ‘n’ roll is here to stay. Tickets are $10 – 20 and will be available on the festival grounds at the Springfest ticket booth. Trace Adkins and Bret Michaels will play to SOLD OUT crowds on Friday and Saturday. 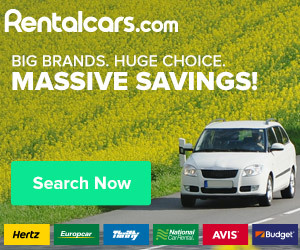 If you weren’t able to get tickets to Springfest’s headlining acts, tickets are still available for upcoming Sunfest performances by Forever Tina, The Cadillac Three and Daughtry. 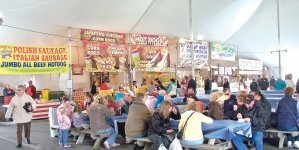 There will be 30 food vendors serving delicious fare ranging from Eastern Shore favorites to ethnic cuisine and gourmet offerings. Parking in the downtown area is limited. The Town of Ocean City will offer shuttle bus service to and from the West Ocean City Park and Ride on Route 50 beginning at 6 a.m. Thursday, May 3, and operating throughout the event, May 3 – 6. When the Ocean City Park and Ride service is not available, Shore Transit will provide service to and from both the Park and Ride and the South End Transit Station. For more information about the West Ocean City Park and Ride service, call the Ocean City Transportation Department at 410-723-1606. 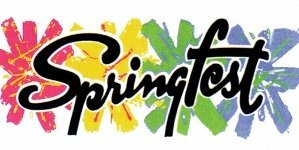 Hours for the festival are Thursday – Saturday 10 a.m. – 8 p.m. and Sunday 10 a.m. – 6 p.m.
For more information about Springfest 2018, call the Ocean City Recreation & Parks Department at 410-250-0125, toll-free at 1-800-626-2326.